Over time, asphalt starts to wear down which may break away and sink into potholes and, in Alaska, earthquakes can exacerbate this issue. Nothing But Driveways can patch, or fill, potholes in your driveway, smoothing the drive experience out. Patching a driveway not only makes it look and feel much better to drive on, but also fortifies the driveway from breaking down further. As asphalt deteriorates, cracks can start to form. Filling cracks in a driveway prevents further damage from the surface as well as from below due to water seeping in, eroding the base, and freezing over and over. This typically leads to more cracks and, eventually, potholes over time. 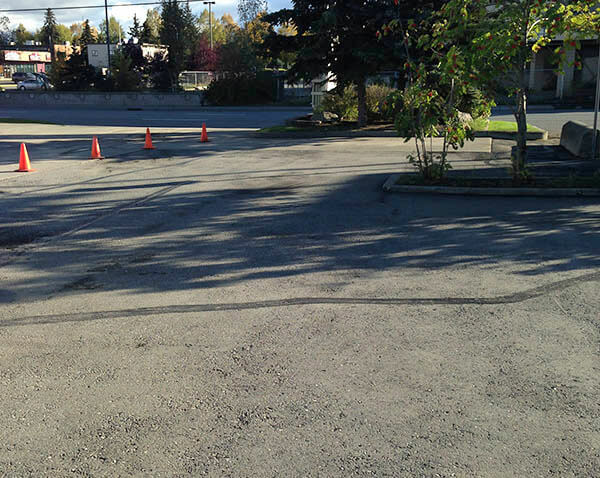 Oil based sealcoating helps reduce the need to repair asphalt and fill cracks. 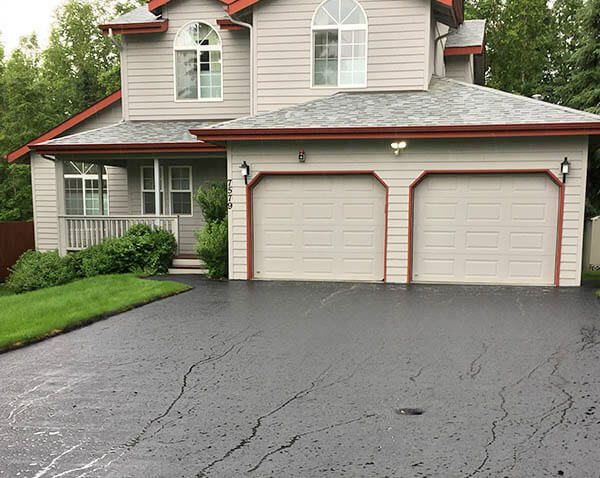 Sealcoating a driveway waterproofs and protects it from weatherization, which are the two main causes of asphalt breakdown. Applying a sealcoat to your driveway or lot every two to three years will ensure it’s integrity.